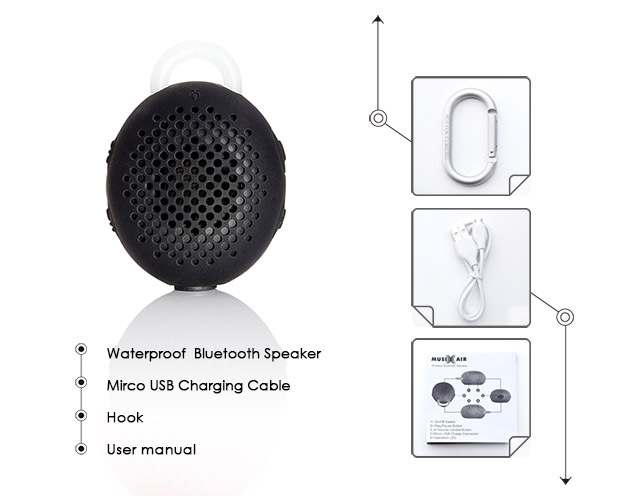 MusiX Air is a Waterproof Wireless Bluetooth Speaker. 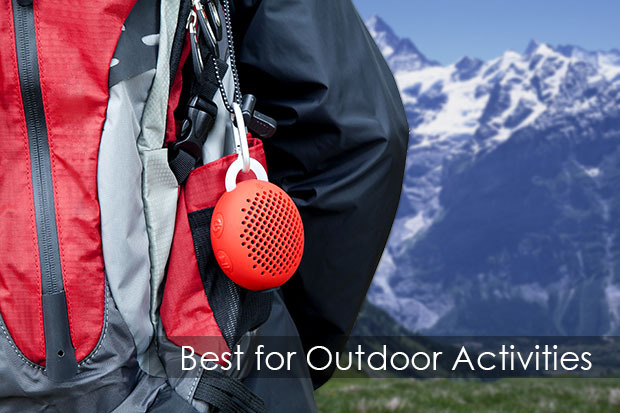 It features IPX7 grade Water Proof which allow you to listen to your favorite mp3s when you are having outdoor activities, such as hiking, cycling and sunbathing. 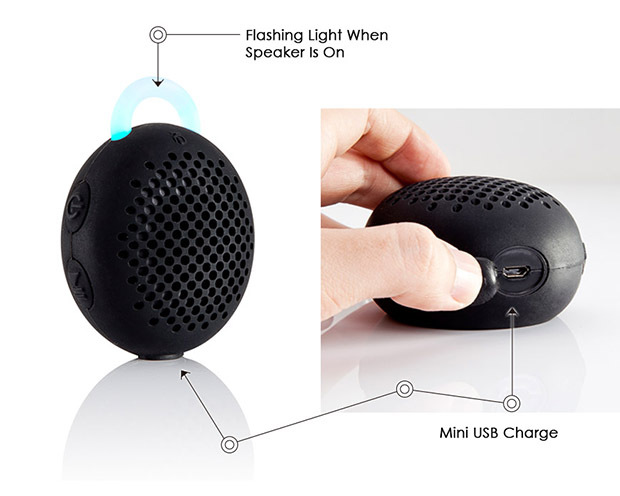 It is light and mini but empowered with incredibly loud sound. The Bluetooth signal works up to 10 feet away. You can adjust the volume, change the songs, or pause the music easily through the buttons on the speaker. With built-in microphone, you can answer the phone call through the speaker. 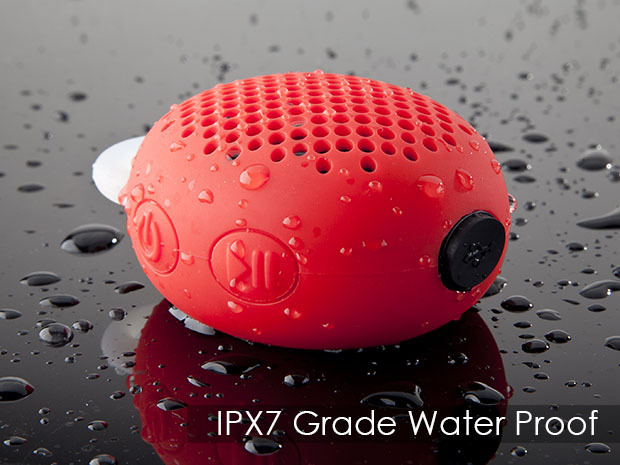 IPX7 Water Resistant, approved of protected against water immersion for 30 minutes at a depth of 1 meter.Listen to your favorite music or radio station with this fun unit when you are having outdoor activities, such as hiking, cycling and sunbathing etc. Handy size but sound big. Convenient to receive incoming calls while having shower in bathroom, car, on boat, beach, patio or anywhere else with its built-in mic. 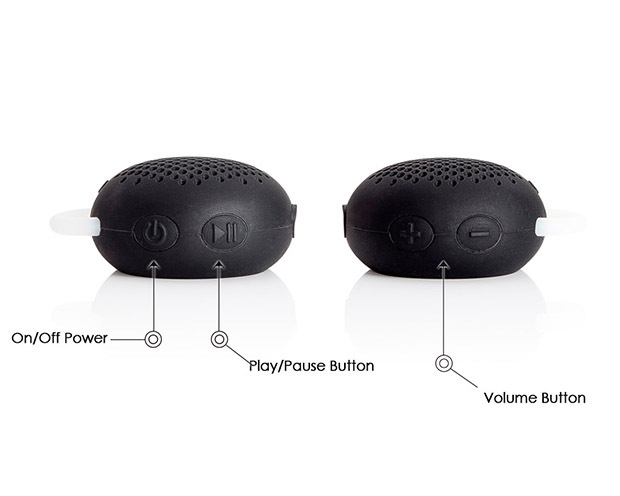 Easy access to Volume up/Volume down/fast forward (skip)/Backward/Pause/Play/Power buttons. High definition Bluetooth audio wireless connectivity with up to 7 hours of playtime. Easy access to Volume up and down, Pause, Play and Power buttons. 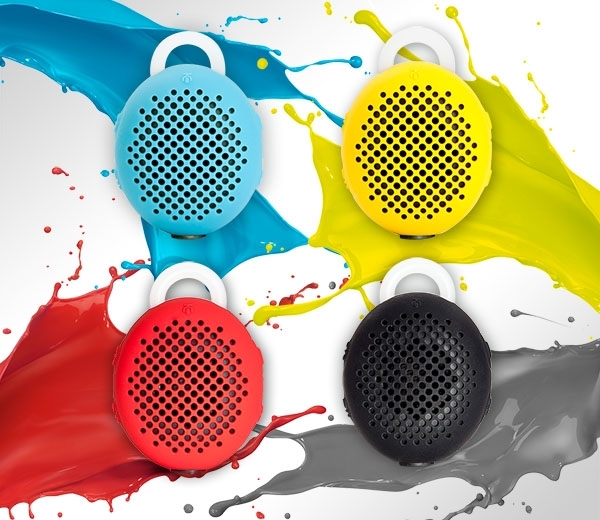 If you want a wireless speaker that is mini, light, weatherproof, indestructible (after suffering a 10 foot drop without a dent or scratch), and still be able to pound out that loud and vibrant sound, this MusiX Air Water Resistant Wireless Bluetooth Speaker (the “Speaker”) is for you. I am sure it can sustain a higher drop but I didn’t try. The inherent Bluetooth signal works up to 10 meters away and I can adjust the volume or pause the music easily with the pause/play button. The translucent handle flashes a blue light when it is on. If I press and hold the on/off button I’ll hear a beep allowing me to pair with another Bluetooth device. If I continue to press this button, I’ll hear a long tone and the blue light goes off, shutting down the Speaker. 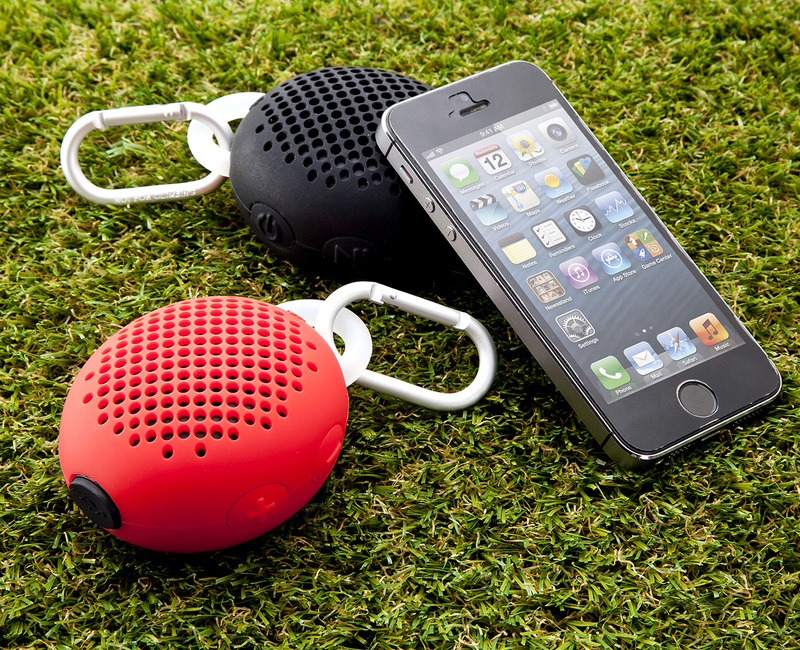 When the Speaker powers up again, it will pair with the last Bluetooth device automatically. And with the built-in microphone, I can answer a phone at half a basketball court away. 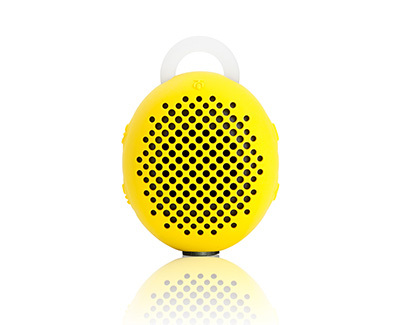 This Speaker looks like an attractive yellow tennis. It is incredibly light at 105g, 50% size of the others in same 8W music/call power. 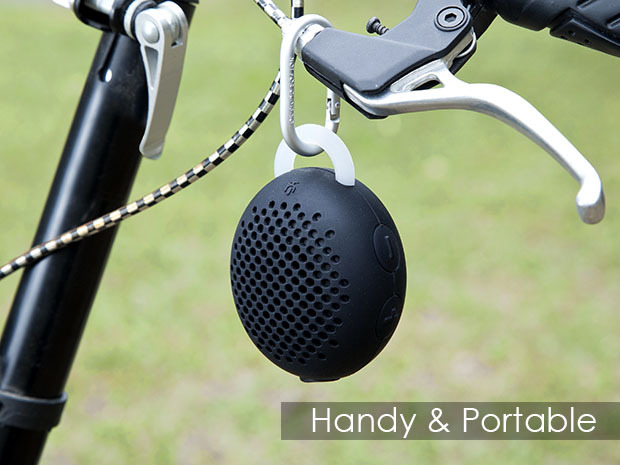 Its smooth curves are wrapped in high quality rubber that keeps the speaker and microphone in place with a solid feel. With just 1 hour of USB charging, the high capacity Li-polymer battery allows me to play for 8 hours at 70% volume level. I paired it as "MusiX Air" instantly to my Bluetooth enabled notebook, tablet and smartphone. Now I can loosen the leash on my grandchildren after hanging it on them. They can sing and dance to the music. They can roll over like Pepper pig in muddy waters. If the child is up to no-good, my voice over music through the smartphone microphone can do a total recall. I won’t suffer a heart problem of shouting or chasing after the kids. This Speaker is a liberator and life saver. It is made by HISDigital and consistent with all their graphic cards, USB docking stations and headphones – the quality and price are outstanding. 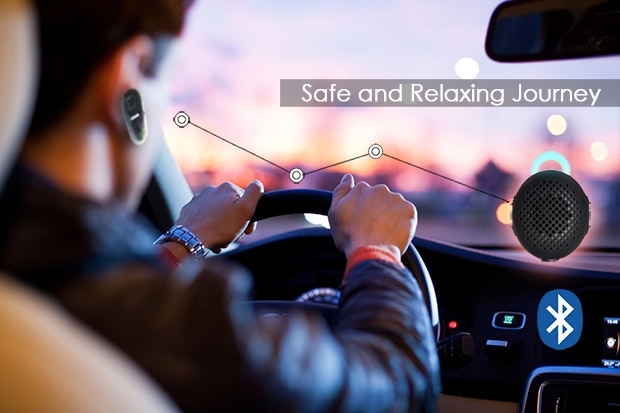 When I read more about it in http://www.hisdigital.com/un/product2-866.shtml, I am truly impressed with this new product.